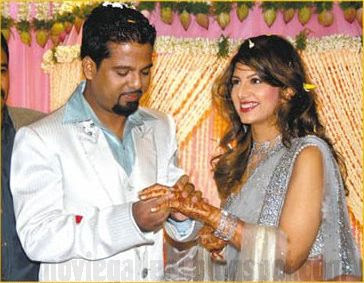 Actress Rambha marriage engagement with Canada based businessman Indiran held at Park Sheraton Hotel, Chennai on January 27th. Many celebrities and close relatives attended the function. The marriage will be held at Tirupathi on March 27th. She is one of the beautiful south Indian actress. She acted nearly 100 films in all south Indian languages and Hindi films also.